Asareh Hotel is a 4-star apartment hotel in Tehran. It is located in the center of Tehran. So you have easy access to public transportation and Tehran Attractions. Asareh Hotel has a restaurant, a 24-hour cafe, and a conference hall.It is a bed and breakfast hotel, so enjoy the free buffet breakfast at the hotel. It has single and double rooms and suites with one or two bedrooms. Though it is located in the city center and it is close to so many attractions, Asareh Hotel is out of Tehran Traffic Plan. 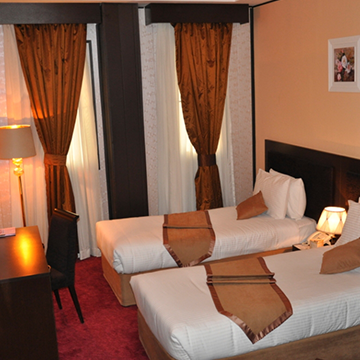 Being close to Azadi Street, the hotel has great access to Mehrabad and Imam Khomeini International Airport. Conference hall and handicraft store are some of the features of Asareh Hotel. It features all the amenities you are looking for. Each suite features room service. There is also free parking for your convenience. It is even close to the subway so you can park at the hotel and explore through the subway. 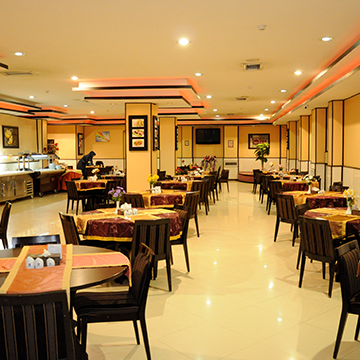 The hotel has various rooms, multifunctional halls, and 24-hour coffee shop. The luxury restaurant has a capacity of 150 people. They host guests with Persian and International dishes and seafood 24 hours a day. Sports Complex includes a pool, sauna, Jacuzzi, massage room, traditional bath, gym, ping pong table, and foosball. 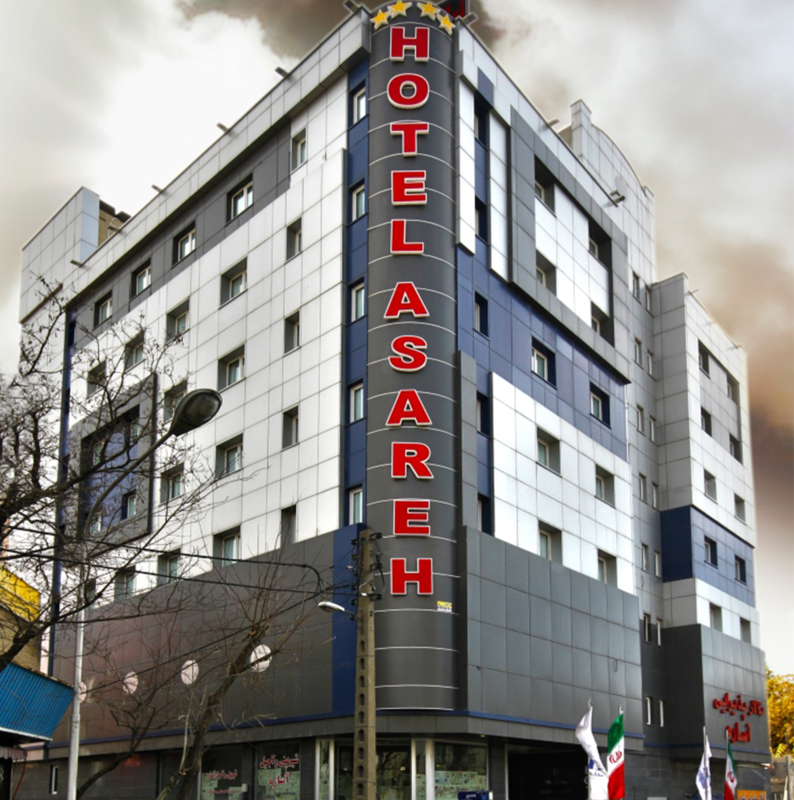 If you are looking for a 4-star apartment hotel in Tehran, Asareh Hotel can be one of your options. You can book a room or suite in advance here on Apochi. In case of having any inquiries, feel free to contact us. 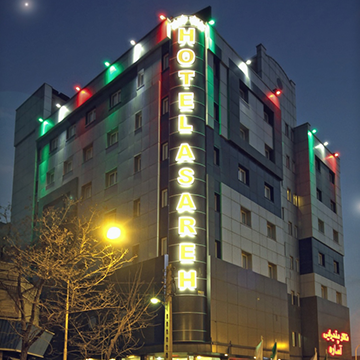 Asareh Hotel is a combination of thirty apartments in Tehran central district. There are suites with two rooms which makes it easy to bring the kids. There is also a kitchenette you can cook all your meals in. Simple and Easy VIP/CIP Transfer booking! We will take care of transportation to/from Airport to Asareh Hotel. You can exercise and relax in the indoor swimming pool and release the fatigue of the day. One of the best hotels in Iran.